VICTORIA, May 14, 2018 /CNW/ - Vancouver automaker Electra Meccanica (OTCQB:ECCTF - News) announced today it has partnered with DoubleTree by Hilton to enhance its MY STAY. MY CAR.™ program. Beginning immediately, guests staying at DoubleTree by Hilton Hotel & Suites Victoria can select a SOLO all-electric commuter car with their guest room for an additional $20 per night and receive complimentary parking. The program is powered by share economy pioneer, Turo. The process is easy. Within 24 hours of arrival, guests can book direct through the hotel's website or by calling reservations (1-800-774-1500) and asking for the MY STAY. MY CAR.™ package. When the guest arrives, they complete a one-page rental agreement, check-in, and are provided with two keys for their stay: their room and their car. "We feel privileged to offer our one-of-a-kind SOLO to guests at this premier hotel located in our home province," said Jerry Kroll, CEO of Electra Meccanica. "The SOLO was designed to be an efficient commuter car and as an EV, it has little—if any—environmental impact. Guests can enjoy their stay and check out knowing that their carbon footprint won't be left behind." Francis Mairet, principal of Mairet Hotels who manages the Victoria property added, "With so many travelers arriving to Victoria's Inner Harbour on foot via float plane or ferry, we're thrilled our hotel is able to offer them this easy, cost effective and green way to explore our city." As many of Victoria's attractions are outside of the downtown core, having a car allows travelers to easily access popular locations such as Victoria's Butchart Gardens or Willows Beach. The SOLO's single seating configuration provides a fun and unique driving experience and the car has a 100-mile range to power guests around in style and comfort. The DoubleTree by Hilton Hotel & Suites Victoria was the first hotel to offer a ride share service with a Prius via the Turo car service. The addition of the SOLO represents an expansion of that program and enhances available vehicle options. As a result, the hotel has added two electric car charging stations for added convenience for guests who wish to charge their electric vehicles on the property. While some luxury residences such as New York City's Solaire have partnered with carshare apps like ReachNow to attract homebuyers, short-term rentals for travelers often still involve standard rental car companies and the associated fees and contracts. MY STAY. MY CAR.™ offers travelers the car they need when they need it. The SOLO is priced just under $20,000 CAD, and interested consumers can place a fully-refundable $250 deposit by visiting EMVauto.com. A publicly held company, Electra Meccanica began trading on the OTCQB exchange and announced its application filing for NASDAQ Capital Markets listing last October. A designer and manufacturer of electric vehicles, Electra Meccanica builds the innovative, all-electric SOLO, a single passenger vehicle developed to revolutionize the way people commute, as well as the Tofino convertible, an elegant high-performance sports car. Both vehicles are tuned for the ultimate driving experience while making your commute more efficient, cost-effective and environmentally friendly. Intermeccanica has successfully been building high-end specialty cars for nearly 60 years. 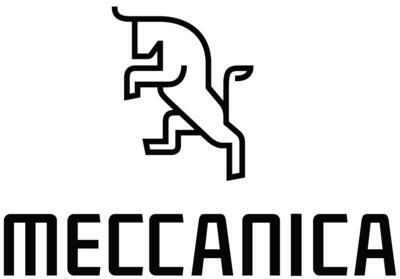 Electra Meccanica, with its subsidiary Intermeccanica, is delivering next generation affordable electric vehicles to the masses. For more information, visit www.EMVauto.com, and to receive the latest news from Electra Meccanica, please sign up at www.investors.electrameccanica.com/email-alerts. Mairet Hotels is an innovative third-party hotel management company specializing in the re-branding and repositioning of hotels to meet their fullest potential. A growing company, Mairet Hotels currently manages 2 properties in British Columbia with expansion plans in place. Mairet Hotels oversees hotel transformations from the initial financing stage, renovation and beyond – achieving record RevPAR on behalf of the ownership group. Passionate about efficiency, the management team excels in achieving maximum productivity with minimum expense. Long-term financial gain and superior employee and guest satisfaction are crucial to the success of this Victoria, BC, company. With thinking outside the box a daily activity, Mairet Hotels has continued to stay ahead of the curve in all things hospitality. For more information, visit www.mairethotels.com. DoubleTree by Hilton is a fast-growing, global portfolio of more than 500 upscale hotels with more than 119,000 rooms in gateway cities, metropolitan areas and vacation destinations across six continents. DoubleTree by Hilton prides itself on paying attention to the little details that have a big impact, from welcoming guests with its signature warm DoubleTree Cookie to serving the communities around them. DoubleTree by Hilton hotels offer unique, contemporary accommodations and full-service facilities, including restaurants and lounges, room service, health clubs, business centers, and meeting and banquet space. Hilton Honors members who book directly through preferred Hilton channels have access to instant benefits, including a flexible payment slider that allows members to choose nearly any combination of Points and money to book a stay, an exclusive member discount that can't be found anywhere else, free standard Wi-Fi and digital amenities like digital check-in with room selection and Digital Key (select locations), available exclusively through the industry-leading Hilton Honors app. To make reservations, travelers may visit doubletree.com. Connect with DoubleTree by Hilton on facebook.com/doubletree, twitter.com/doubletree and instagram.com/doubletree. Journalists may visit news.doubletree.com. Turo is a car sharing marketplace where local car owners provide travelers with the perfect vehicle for their next adventure. Travelers from around the world choose from a unique selection of cars and car owners earn extra money while helping fuel their adventures. A pioneer of the sharing economy and travel industry, Turo is a safe, supportive community where the car you rent is part of a story, not a fleet. Whether it's an F-150 truck to help out on moving day, a Tesla for a luxurious weekend away, or a classic Mercedes-Benz for a picture-perfect road trip, travelers rent the car and own the adventure. Discover Turo at Turo.com. Hilton (NYSE:HLT - News) is a leading global hospitality company, with a portfolio of 14 world-class brands comprising more than 5,000 properties with more than 825,000 rooms in 103 countries and territories. Hilton is dedicated to fulfilling its mission to be the world's most hospitable company by delivering exceptional experiences – every hotel, every guest, every time. The company's portfolio includes Hilton Hotels & Resorts, Waldorf Astoria Hotels & Resorts, Conrad Hotels & Resorts, Canopy by Hilton, Curio Collection by HiltonTM, DoubleTree by Hilton, Tapestry Collection by HiltonTM, Embassy Suites by Hilton, Hilton Garden Inn, Hampton by Hilton, Tru by Hilton, Homewood Suites by Hilton, Home2 Suites by Hilton and Hilton Grand Vacations. The company also manages an award-winning customer loyalty program, Hilton Honors. Hilton Honors members who book directly through preferred Hilton channels have access to instant benefits, including a flexible payment slider that allows members to choose exactly how many Points to combine with money, an exclusive member discount that can't be found anywhere else and free standard Wi-Fi. Visit newsroom.hilton.com for more information and connect with Hilton on Facebook, Twitter, LinkedIn, Instagram and YouTube.